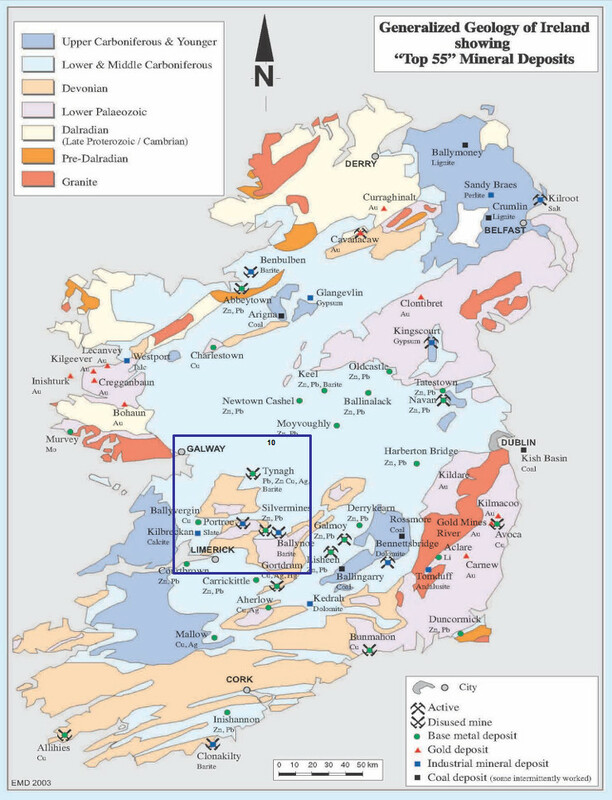 IMC's base metal prospecting licences are situated within the world class Irish Base Metal Province. This province hosts a number of economic Zn/Pb deposits including the Navan and Lisheen deposits, together with the recently discovered Kilbricken and Pallas Green deposits. A CPR was commissioned (SLR Consulting Ireland) in 2016, which as well as confirming progress to date, also confirms that ‘these licences have sound and proper potential for the discovery of economic base metal deposits’. IMC’s geological team have completed a fully costed works programme to realise this potential. PL 3729 (Tulla) has shown features texturally similar to, and characteristic of, alteration associated with Irish base-metal deposits such as Silvermines, Lisheen and Galmoy. The Limerick Licences lie along strike from the intersection of the “Navan – Silvermines Trend” with the “Limerick Trend” along which the deposits of Pallas Green and Kilbricken are situated. Intensive alteration similar to that associated with "Irish Type" deposits has been observed in outcrop on the Shannon Licence. Breccias and alteration similar to those observed at the Navan, Tynagh, Silvermines, Lisheen and Galmoy deposits have been recorded in previous drilling on the Nenagh Licences. 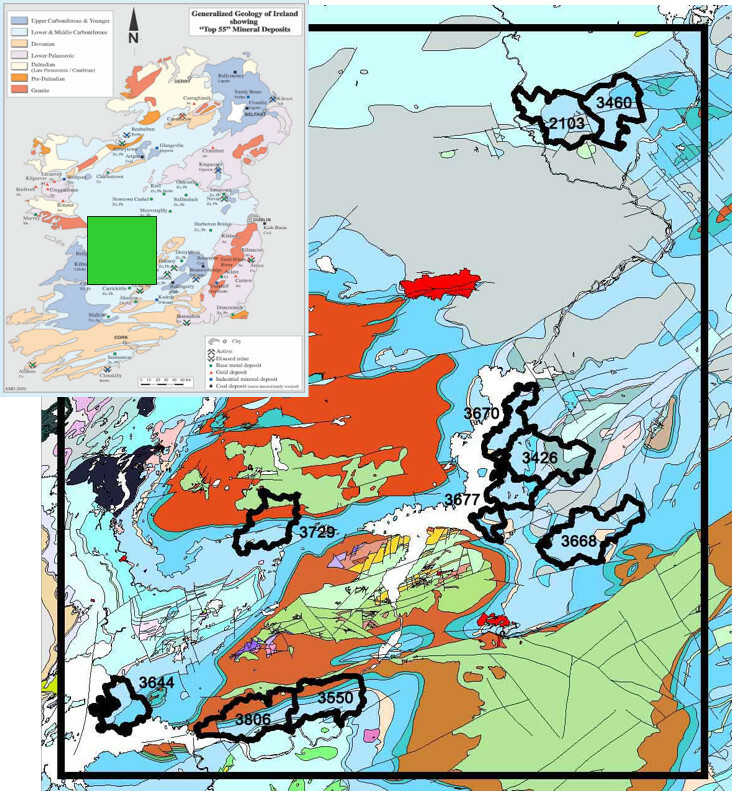 Alteration, mineralized surface float and mineralized drill intersections have been recorded from the Ballinasloe Licences on the northern side of the Tynagh Basin.